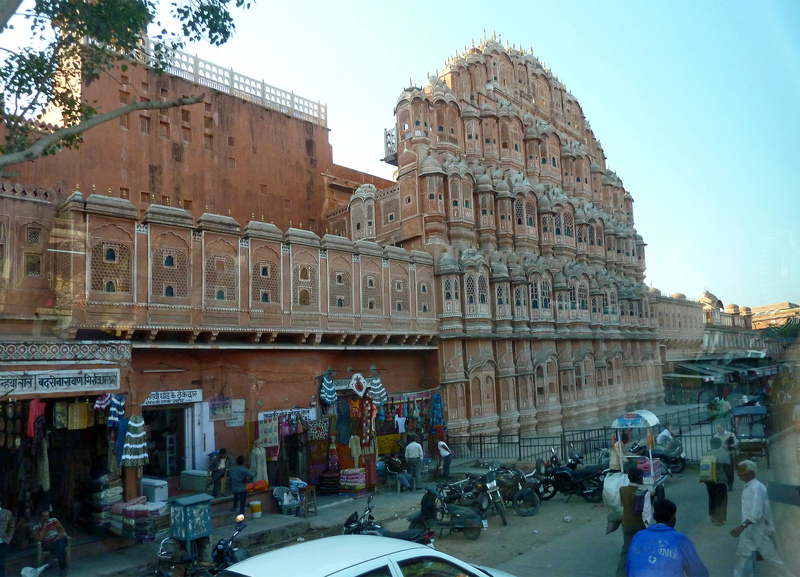 The Palace of the Winds is a fantastic structure built as an extension to the harem or women’s quarters but overlooking the main road so that the ladies of the court, who were meant to observe strict Purdah, are could observe the grand processions taking place down the road while remaining themselves unseen. 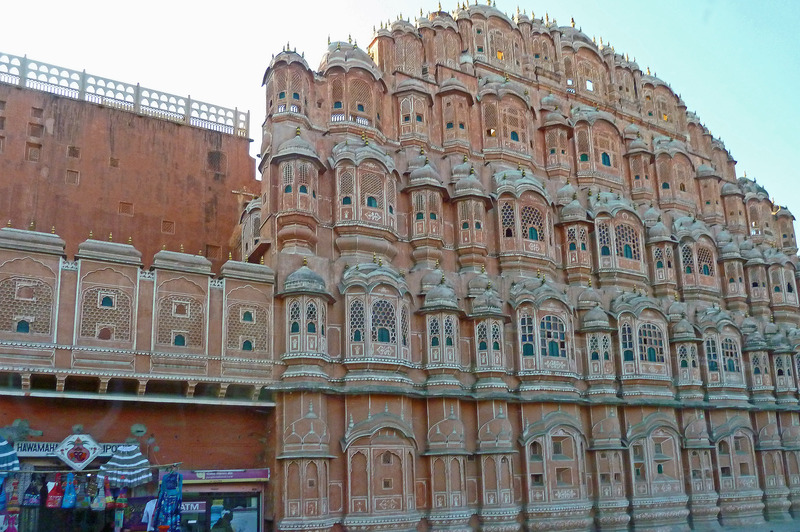 It is five stories high and it is said to contain no less than 793 small windows. 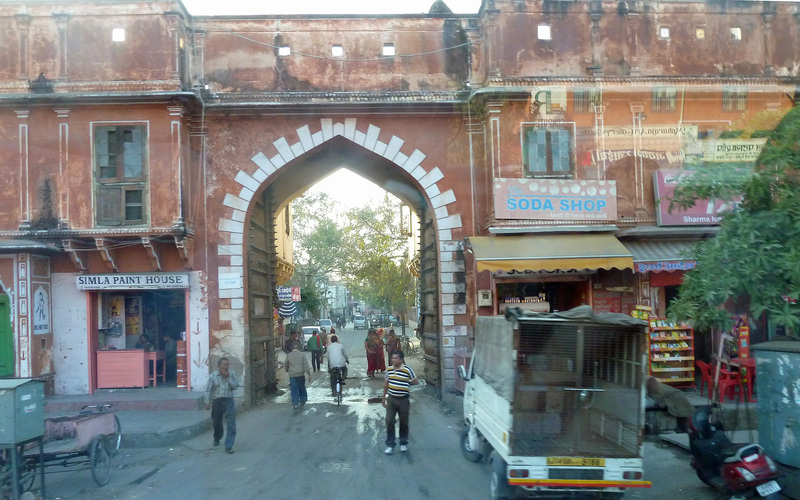 Jaipur was laid out as a formal city on a grid plan and is considered to be the finest of the planned cities in India. 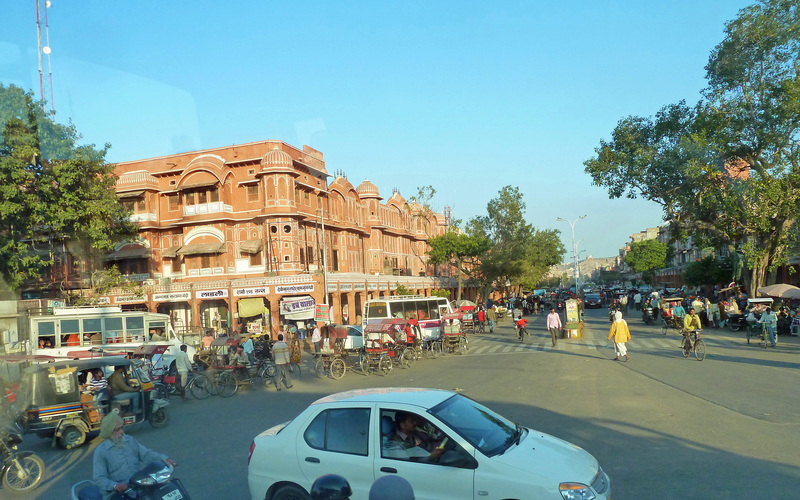 Here is a corner of the main city building in the characteristic red sandstone which has given Jaipur the name ‘The Pink city’.